Use SnapRetail’s Shopify integration to send targeted emails based on buying behavior and purchase history. Sell products or services in email and on social with our powerful e-commerce solution. 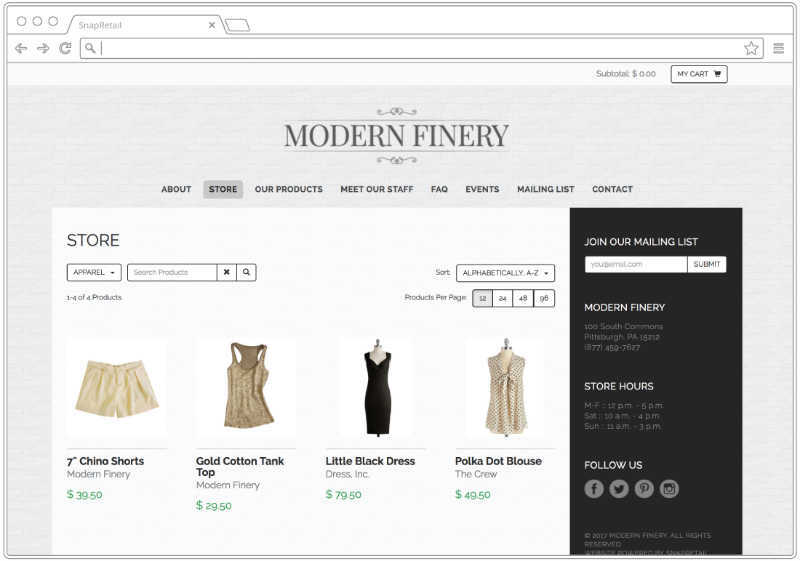 Click-and-drag products into any email and automatically have an online store created for you. Automatically sync your Shopify searches with SnapRetail to send targeted emails. Use your Shopify product images in all of your online marketing. All of your Shopify customers are added and updated in your SnapRetail account. 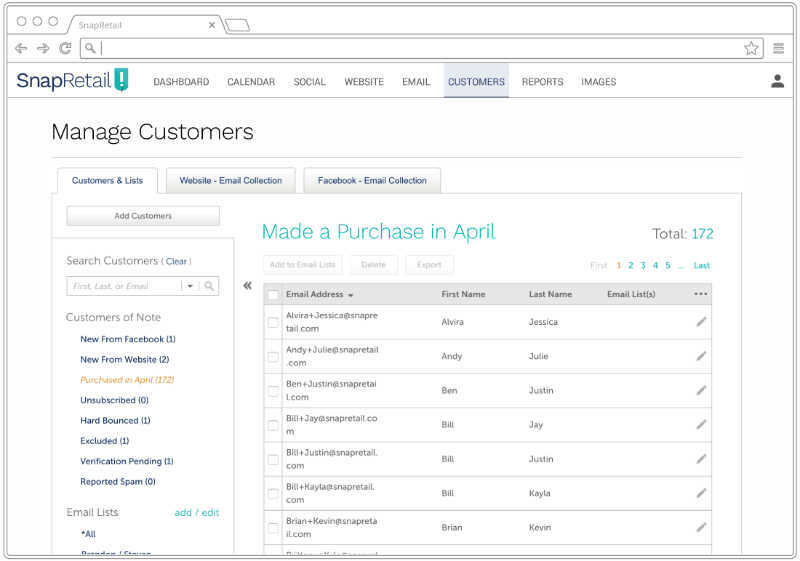 Selling through email is now easier than ever with the integration of SnapRetail and Shopify. Simply click and drag our product widget into any email, select your product, and we will pull in all of the information automatically. Already have a SnapRetail website? 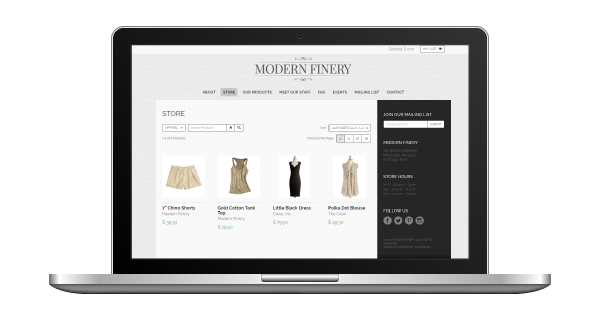 We can get your products online in seconds and create an optimized store page for you. Target and filter email lists based on buying behavior to increase engagement and keep valued customers happy. Send tailored email promotions right to your best customers, giving them a VIP only promotion or special product announcement. Re-engage customers who haven’t purchased in awhile with a promotion or remind them of all the great products your store carries. Use Your Shopify Product Images Anywhere. Anytime. 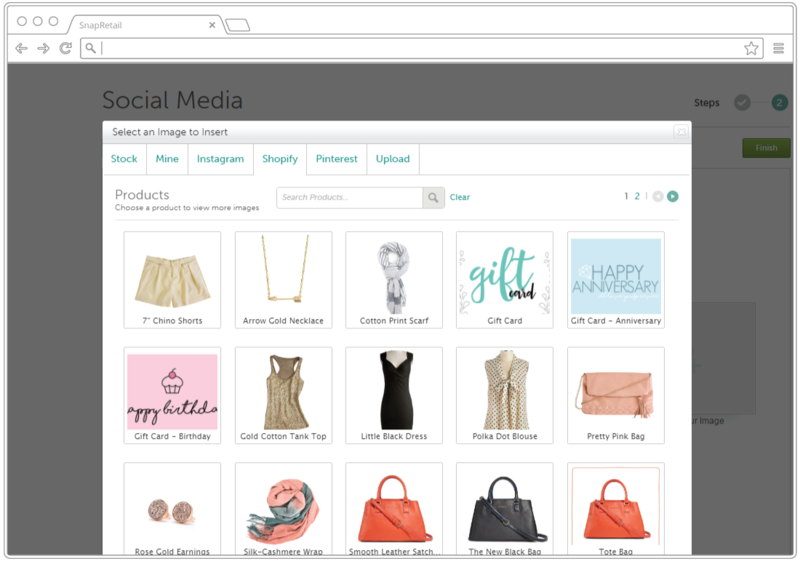 Showcase your products in an email and on Pinterest, Facebook, and Twitter. Your Shopify product images are automatically updated and organized for you. Simply open your SnapRetail photo library, select a product and you’re done. No manual uploading required. If a customer selects to receive your marketing during checkout, we’ll automatically add them to your SnapRetail account. Use automatically created filters to send targeted campaigns or let us automatically send them a welcome email for you. Start to Grow Your Small Business with SnapRetail + Shopify!